Managing cybersecurity in retail is challenging. Employee turnover is high and locations can be widespread, creating risk exposure that may span multiple countries. And as retailers increasingly outsource IT services and the cloud, the need to secure data access is ever more critical. Retailers are adopting Privileged Access Management (PAM) as a key element in delivering robust security on a cost-effective basis. 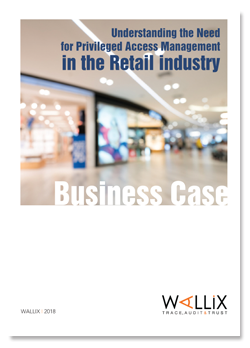 This paper reviews the business case for PAM in retail, exploring how simple and tailored PAM solutions meet the growing cybersecurity needs of businesses in the retail industry. This paper reviews the business case for PAM in the Retail industry, citing the major cybersecurity challenges businesses face and how effective management of privilleged users can reduce risk. Discover how PAM can help your Retail organization achieve robust cybersecurity.